All the articles below are published in to obtain a copy click on the Get Acrobat Reader button. The Meriden Motorcycle Co-operative: an unconventional end to the decline of a British Industry. 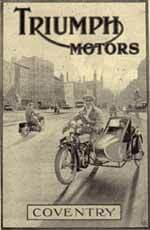 The Meriden Motorcycle Co-operative: an experiment in workers' democracy or a bizarre end to the British motorcycle industry. The strengths and weaknesses of first-line management of British industry before 1939. The 1945 Labour government's productivity programme. The failure of British Industrial Capitalism. Why did Britain have full employment between 1945 and, say, 1975 but not thereafter? Vietnamese Communism and the Comintern. Slaves of Moscow: The British Communist Party, 1920-43. Why was Truman so hostile to the Soviet Union? The Labour Party and the rise of the left in the 1970s.